Critics Wonder Whether Pennies Make Sense Anymore Treasury Secretary Jack Lew says the government is reviewing a proposal to stop making the penny. It actually costs nearly 2 cents to make a penny, so the government loses money. It actually costs more than a penny to make a penny. Of course, more people just let them pile them up in drawers or jars. And that's why, Oliver said, "One study found that two-thirds of pennies don't circulate, and yet the penny hangs around for no reason like the appendix or the new Muppets TV show." So Gore doesn't like pennies. And he actually maintains the website retirethepenny.org, which urges the government to get rid of pennies. A few years ago that got him on TV with another comedian, Stephen Colbert. "I like to think it's a little bit different," Gore replied. "American Society is very innovative and forward-looking in many ways, but in a few other dimensions we tend to be quite conservative," says Francois Velde, an economist with the Federal Reserve Bank of Chicago. "And interestingly, the currency is one of those areas. You look at the design of our currency. It's been the same dead presidents on the bills, on the coins for almost a century, and we're rather attached to that I think." Canada Bids Its Penny Goodbye; Should The U.S.? 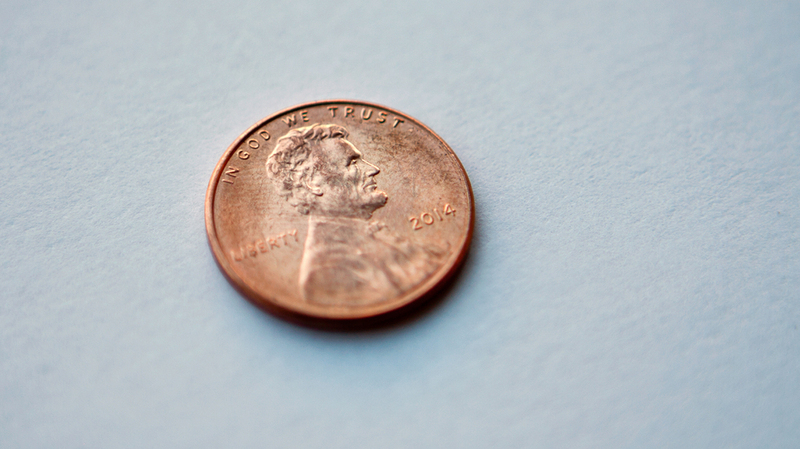 "You would just abandon the nickel and just declare that all the pennies are worth 5 cents. That's something that happened quite a lot in the Middle Ages where coins did not have face values and governments occasionally changed the face value of a coin," Velde says. But that would take an act of Congress, so don't hold your breath. And whatever happens, the Treasury Department says you will always be able to spend your pennies or nickels — even if the government stopped minting them.